This story (Brands-cross-border-e-commerce) starts with a meeting that occurred between myself and a fellow from Melbourne a few years ago. He was one of the most enthusiastic people I had met when it came to explaining what he was trying to do – a new milk brand that he felt would be able to take on ‘the big boys’ and be able to crack the Chinese market. This, on the surface was not only highly ambitious but seemed very naive. I then heard for the next few hours about how his product was “better” and “different” and how I would just have to build some Chinese marketing assets and job done — China cracked. Although reading this you may think that this meeting was an anomaly and that such ideas are held by the privileged few; it is not the case. I would suggest that most of the meetings I hold with (mainly smaller) Australian and New Zealand producers / manufactures come with these same enthusiastically ambitious goals. So what is the different about the brands that succeed and those that fail with their Chinese market quest? Lets be honest and just acknowledge that for some brands looking for China success, had a degree of luck and timing. For others, looking to make their own luck they can struggle for years and often end up making little progress after investing significant time and money. The Chinese market is such a double edged sword — and a temptation very few don’t consider. If you want to ‘play’ in China you need to consider and plan a lot of aspects. Everything from the levels of capital needed to an understanding of the various rules (Government, cultural, business etc) and that is even before you review your brand, pricing and distribution. After which many just say China is all too hard! But there is another, simpler path I am advocating brands consider. This is not a certainty for success and won’t even be a fit for every brand but it is certainly a pathway many should at least explore. This is the use of China’s cross border, eCommerce channel where Aussie brands can sell products to Chinese consumers without the need for costly Chinese Government product registration (CIQ approvals) and requirements for establishing a Chinese company in China. OK, now I know you are thinking how do the Chinese consumers find my brand and more importantly, buy my products. One way (traditional route) is to build a Chinese eCommerce website (and/or go Tmall/JD.com), develop your Chinese social media channels (Weibo/WeChat), plan for paid search on Baidu and Qihoo etc, etc, etc…. Now this approach will fit some brands and be the right direction and it will require a significant capital investment and a more complex marketing/execution team. For other brands, I believe leveraging the Chinese community already living in Australia and using their ‘word of month’ to help you get awareness and product acceptance back in China. But not just the general Chinese community but the large groups involved in a practice called ‘Daigou”. I have written a number of posts relating the power of the daigou on brands and cross border strategy (Brands, Cross Border & Daigou; the intersection of opportunity & Australian Consumer Brands Marginalise Daigou at their Peril). Daigou, being a term for Chinese living overseas and who purchase goods on behalf of others living in China — just take a read through my past articles if you want to understand more about the size and influence that this group is now commanding. Reach China, a Digital Jungle sister company, created a WeChat eMarketplace (DaigouSales) for Australian brands and daigou to engage, shop and ship. This platform has already seen significant interest from both established brands and newer brands looking to promote their wares via eStores. Additionally, the Daigou Stores operating as physical retail outlets can also establish an eStore (these are private within the marketplace) to give them an eCommerce solution for their offline customers to buy within the eStore. Daigou can simply visit the eMarketplace to review the various eShops, make an order, pay in RMB or dollars, have the products shipped to addresses in Australia or China. Very simple convince. For private eStores (like Daigou Stores) they share their eStore WeChat QR code to their customers and these customers will only be able to visit this private store. Daigou Stores have become a key group using this platform as it gives them a full WeChat eCommerce solution as well as allowing them the ability to offer a wider ‘online’ range of products; often the emerging brands that would never be seen in their offline stores. 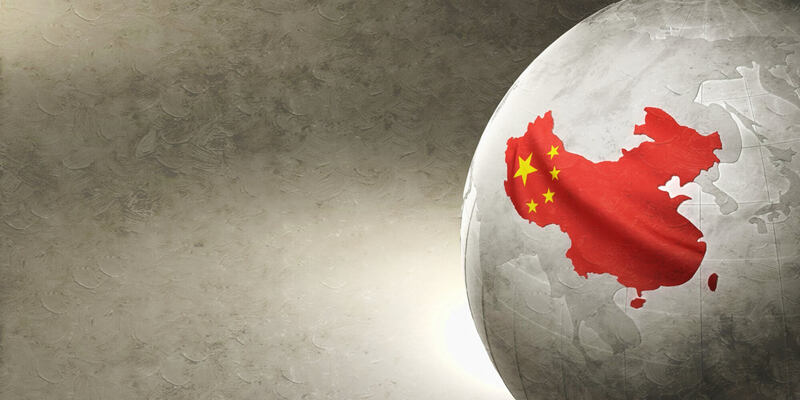 Note, there are still Chinese Government regulations on the way eCommerce cross border operates such as logistics companies requiring their parcel receivers to register online, using their Chinese identity cards, before they will deliver products. This is to ensure a single customer does not buy more than 20,000 yuan worth of goods each year without paying import duty. That said, for many Australian brands the opportunity exists to sell your products to Chinese living in China via daigou and leveraging the Chinese cross border eCommerce channel. Just be open to a whole new way of marketing and selling than you do with your Australian retail channels. Oh, and what happened to the milk guy from Melbourne. Well, we became great mates, I brought into his dream and I am helping him with his Daigou and Chinese (in market) programs. Although early days (1 year) his brand is starting to see Chinese acceptance and sales moving through.